I have to admit, it feels a bit crazy to think that I've been running this blog for two years now - it doesn't feel like it at all! To thank everyone who has followed Project Read and Review these last couple of years, I've decided to host another giveaway. The twist? This one is going to be bigger and better than them all! The giveaway will be running from July 1st 2013 until September 1st 2013. It will begin and end at midnight GB. This is an international giveaway - no matter where you are, you can be in with a chance of winning! Initially, there will be one winner. However, if I reach 200 followers on Bloglovin', I'll add another one; if I reach 300, then there will be three winners, and so on. The prize is one book from the options below per person. The winner will be chosen randomly on Rafflecopter. I will announce who has won on September 1st 2013, and will send the book/s out shortly after. If the winner/s don't respond within two weeks, I will choose another winner. Pretty obvious, but no cheating. I will be checking every entry, and any cheaters will be found and disqualified. Now for the exciting stuff! All the books I have chosen have been released this year, mimicking the new things going on with the blog; new layout, new method of following, new school (okay, not blog-related, but still!) However, some of the books chosen are part of a series, so if you're interested in reading one of the other books in the series, then I can send you that instead. As I said earlier, if you'd rather receive a prequel to one of these books, that is absolutely fine! Thank you for following the blog, and may the odds be ever in your favour...I mean, um, good luck. EDIT: We've reached 200 followers! Know what this means? There will be two winners! Happy Blogaversary, this is a amazing achievement. Thank you for the FABULOUS giveaway. I'd probably choose Throne of Glass or Unravel Me. I hope I win! Happy Blogaversary! And thank you for the giveaway!! I think I'd choose Dare You To, as I've heard a lot of great things about it. I'd want Mind Games - I've wanted it for a long time xD It's been marked as a want to read on Goodreads since I found out about it! Happy blogoversary! I would probably pick The 5th Wave, because I've heard so many great things! Thanks for the giveaway! I really want If I Should Die, Shatter Me, The Selection, or Pivot Point! Dilemma, dilemma... I've just heard great things about all of them, but I think the way I listed them are in what order I want them for the most part. I really like that you'll give away prequels too! That's so sweet! Happy Blogoversary! I think I would choose The Elite! I loved the first book! I would choose Crown of Midnight because the first book as awesome! =) Happy Blogaversary!! Dare You Too, The Elite, Crown of Midnight.. because I already have book one from the series.. I think, I would choose Pivot Point by Kasie West. It's currently at the top of my wishlist on Amazon! I really love stories where you get to see multiple perspectives on an event. One of my favourite films in "Sliding Doors" where you see how the protagonist's life would play out if she caught, or missed, the train on a particular day, and the knock-on effect that this has on her life. So, I really like the idea of a character who has to decide which future she wants! I think it's lovely that you're doing a giveaway :D And Happy Blogaversay! Mainly because both of these books have been on my TBR list forever and I'm dying to read both of them! I'd choose either Clockwork Princess or Mind Games. I think splintered. I have seemed to be drawn to it every time I see it anywhere, so naturally it was one that stood out to me on this list as well! Thanks for stopping by my FF and linking to this giveaway! Happy blogoversary! Honestly, I just want them all. Haha, well I'd probably want Prodigy by Marie Lu because I loved the first one. I'd also want The 5th Wave or The Program though because I've been wanting to read them for forever! Happy Blogaversary! I'd choose Requiem so I can finally finish that series. I have been DYING to get my hands on an ARC of Crown of Midnight. Like, wanting to read that book has become an obsession. 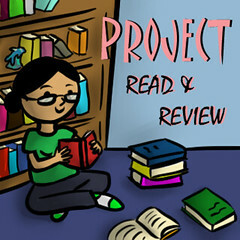 I would definitely choose the Program by Suzanne Young because I adore the cover. 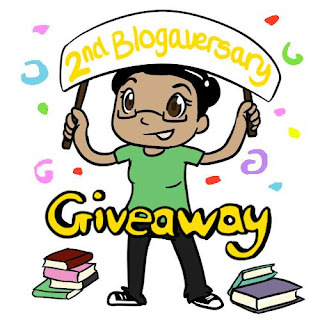 Happy Blogaversary and thanks for the giveaway! I would choose 45 pounds. Happy Blogaversery and thanks for the chance to win. I would snag Crown of Midnight because I can't wait to read it! Oh, I would definitely have to pick Splintered. I've heard so many good things about it lately, and I just feel like I need a copy to discover if I'll like as much as others do. I would pick Scarlet cause I've heard such great things about it! Thanks for the chance to win and congrats on the blogaversary! Happy Blogoversary!! Thank you so much for the giveaway :D I would choose Indigo Spell if I don't already have it by then. Clockwork Princess otherwise because I really want to start that series too - so I'd need the first one. I'd like to read the Elite series as well, but I haven't read Selection yet, so I'd need that one. Jaclyn @ JC's Book Haven. I'd be interested in Ink or Just One Day. I've read a few of the others and they've been some of my favorites this year! Great selection. pivot point by kasie west! the premise is just one of those things that ive been wondering about my whole life. SO EXCITED to read this book! I would love to have the Scarlet or The Indigo Spell. 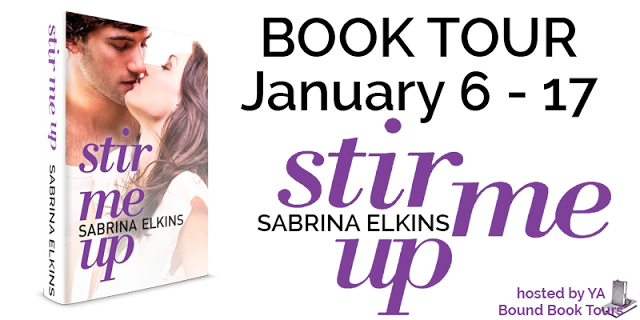 Both have been on my TBR list and I love the plots of these stories. I'd probably choose Pivot Point by Kasie West. 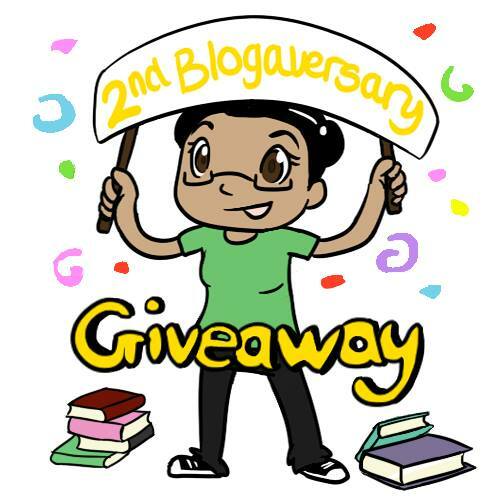 :) Thanks for the giveaway and happy blogoversary! Crown of Midnight. 1st one was AH-mazing! Happy blogiversary! I haven't even hit one yet; 2 seems so far away!! I would pick Suzanne Young's The Program because I just read Just Like Fate by Suzanne and Cat Patrick, and it was brilliant. If you haven't read that one yet, I definitely recommend it! They are all such awesome books it's hard to choose! My first choice would be Siege and Storm because I've been dying to read this series. I would be thrilled to win any of these books! Congrats on you 2 years of blogging! And I wish you many more. :) My choice is Pushing the Limits, I wanted to read this book for a while. Thanks!